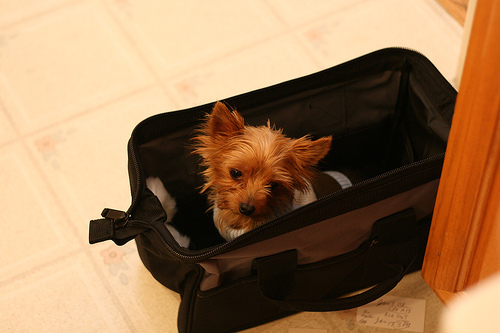 Home » Breed 101 » Can a Yorkie be a working dog? 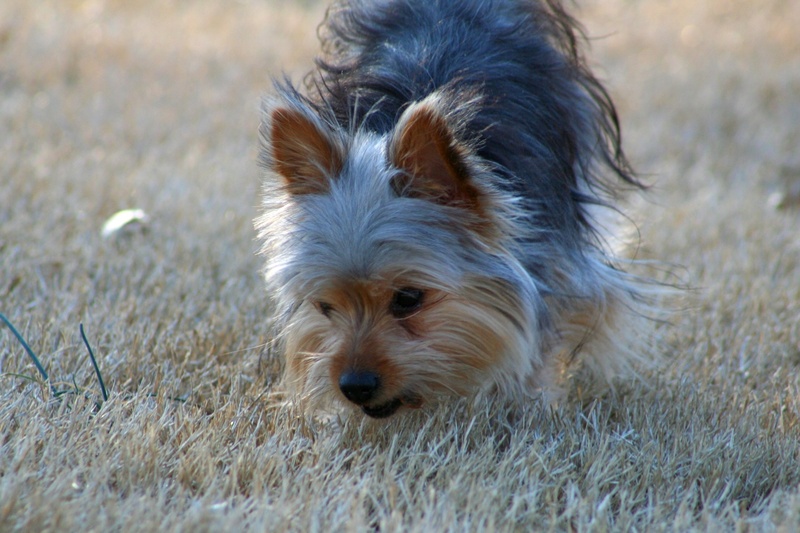 Don’t let your Yorkie’s size throw you off, that fierce little dog is a competitor! 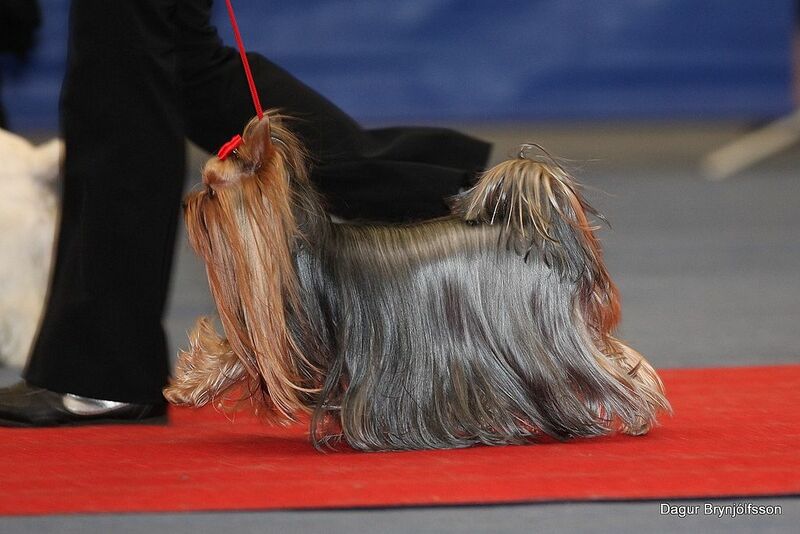 Fast and articulate, a Yorkie makes an ideal Agility star. In Agility, a dog and their handler must navigate an obsticle course with minimal mistakes in the fastest time. While a Yorkshire Terrier can easily compete in AKC trials, there is also an organization made just for toy sized competitors called Teacup Dogs Agility Association. 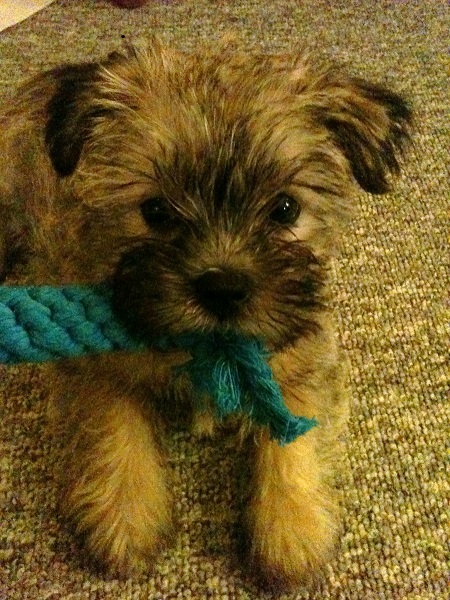 Other sports a Yorkie can excel in are flyball and rally obedience. In flyball, your dog must leap over hurdles as quickly as possible, retrieve a ball and return to once again going over the hurdles. Flyball is done in teams, so you can team up with other dog owners or if you have multiple dogs you can compete on your own. Rally obedience is a competitive form of obedience and can be a lot of fun. You and your dog will navigate a course using various obedience commands. A well known form of working dog is the service dog. A service dog is a highly trained canine that midigates an idividual’s disability. Most service dogs you may see in public are Labradors or Retrievers, but any breed can be a service dog! Larger breeds are most often used for physical disabilities but a small breed is perfect for many psychiatric disabilities or even diabetes. 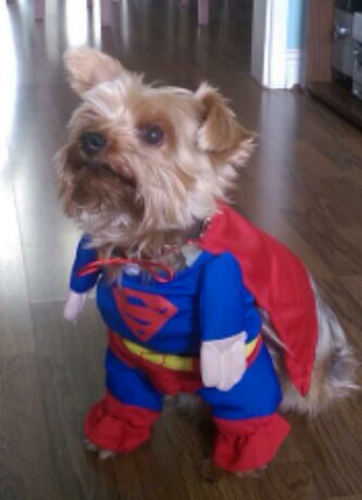 Yorkies can make excellent service dogs for the right handler when trained properly! Service dogs, of any breed, are protected under the Americans with Disabilities Act (ADA). Keep in mind, however, that faking a service dog is a federal offense. Unless you have a disability in which a dog could help with, your Yorkie is best not being trained as a working service dog. However, if you do have a disability and believe your dog can perform tasks to help improve your quality of life, seek out a professional trainer to give you a hand! Daw Ding checking her mail! 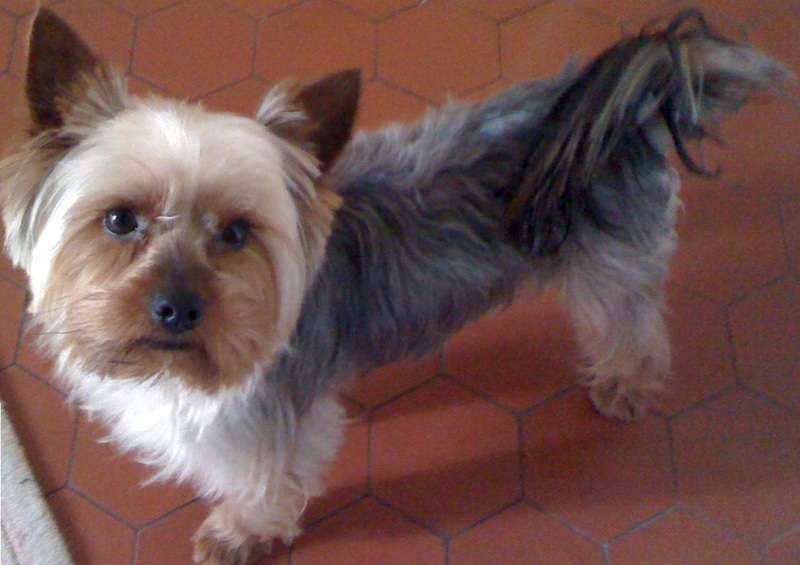 While rare, Yorkshire Terriers as barn dogs are not unheard of. When you think of a farm dog you may think of Border Collies or Australian Shepherds. However, terriers can play an important role in vermin control in barns and feed stores. Any place that stores grains or offers places for mice, rats, rabbits and more to hide in may benefit from pest control. 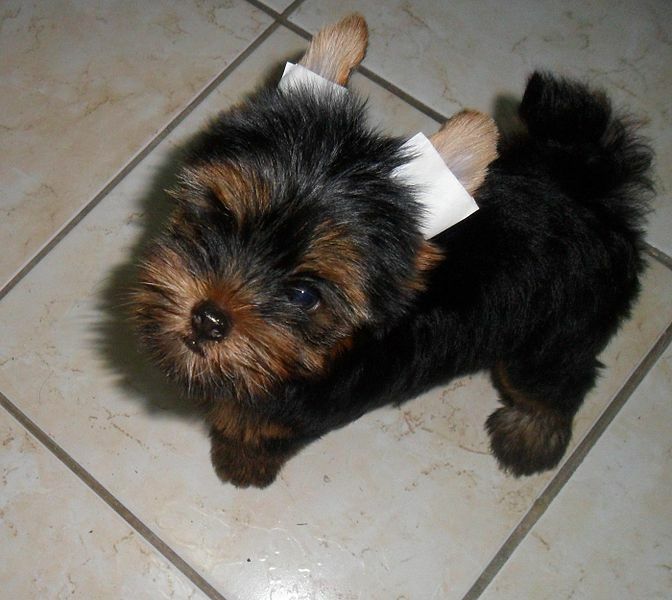 Yorkies were originally created to irradicate such animals, and that is why they can make great barn dogs! Barn dogs, like any other canine, can just as easily be treated as a pet and part of the family. During work hours, though, they are intense and don’t give up easily on their prey. 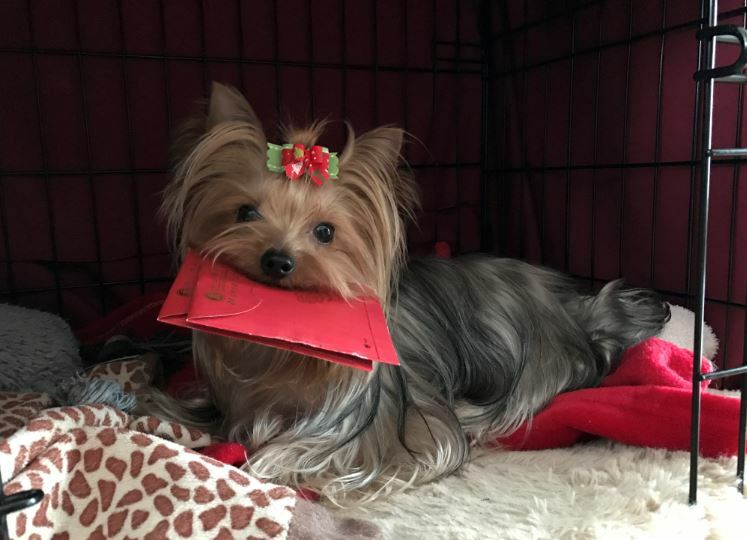 Great pets, constant companions and beautiful the Yorkie is versatile. Their work ethic and intelligence make them ideal for a variety of jobs while their temperament lets them fit in well to family life. 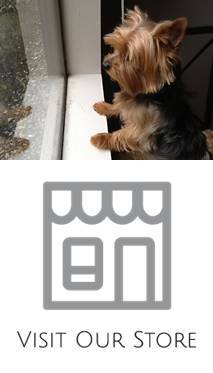 Even pet Yorkies may benefit from bring given a job to do!